My kids suddenly realized that March Break is mere days away. This fills them with limitless joy and energy. Energy they don’t always have when it is not Spring Break. Energy that needs to be channeled somewhere for well over a week so we don’t all go absolutely crazy. so, big thanks to Raincoast Books for inviting us to be part of #PlayTestShare group. They’ve asked for our opinion on a couple of products, so here they are. 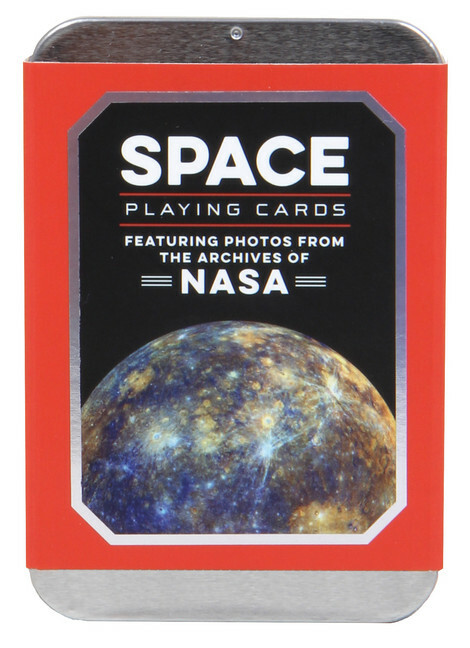 The first of two items we were sent was a pack of NASA Space Playing Cards. Now, a deck of cards is just a deck of cards, right? Sure. Unless they feature incredble NASA photography. Then my friends, and only then, are they more than just playing cards. In fact, these are such amazing cards that I cannot even show them to you. Not because the awesomeness of the photos would burn your retinas. No, I can’t show you because someone took them to school in his backpack to play cards with his buddies at school. So, stock photo it is then. And your vivid imaginations. If it helps, each suit has a different space photograph and very Star Trek-esque font. There’s also a handy dandy metal travel tin. No more trying to jam all the playing cards back into a tattered cardboard box or endlessly searching for just the right sized elastic to hold everything together. Birds of the World is actually a combination sticker/colourings/quiz book. And while it’s not a very big book in terms of number of pages (only 24 if you include the title page), it is about the size of a full sheet of paper. This gives you, I mean kids, lots of room to decorate elaborate scenes. You know there’s no way I’d keep such awesomeness to myself. One of fantabulous Canadian readers has the opportunity to win one of the items pictured above. If you’d like to find out more about these items, check out the Raincoast website. While you’re there, you can check out the other fantastic Canadian bloggers who have been giving these Spring Break goodies a test run. Use the Rafflecopter form below to enter. Contest closes March 16, 2017 11:59 PM ET. Odds of winning will depend on the number of eligible entries received. Not responsible for lost or misdirected entries. Approximate retail value of the prize varies with item selected. Good luck everybody! 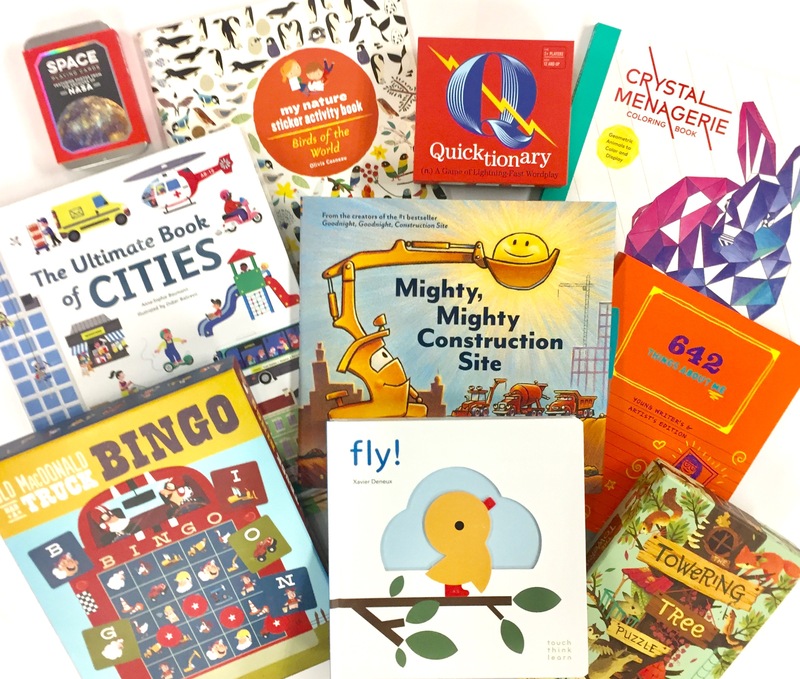 53 Responses to "Spring Break Ready #PlayTestShare #Giveaway"
I would love that Bingo one! 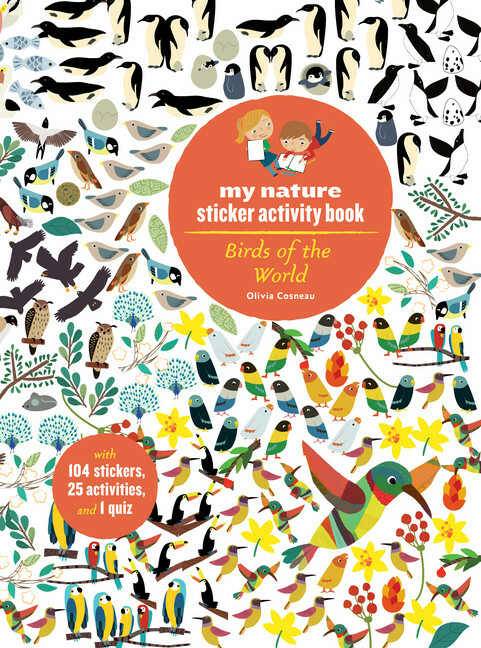 I would ask for the my nature sticker activity book, Birds of the World! It would be great to win a Raincoast Spring Break Activity prize. In response to your question of Which prize would you pick? I would pick the Crystal Menagerie Coloring Book. Thank you for having this giveaway. My son would love the sticker book! I like The Ultimate Book of Cities. My grandchildren enjoy that type of activity books with pull tabs and flaps of things to discover during the story. I would pick Ultimate Book of Cities because I think my daughter would really enjoy that one. I would probably pick Towering Tree Puzzle, sounds cool!! I would pick the Ultimate Book of Cities. I would pick the space playing cards for my son. I think he would love it. my kiddo would love the Ultimate Book of Cities! The Towering Tree Puzzle looks pretty fun! I'd love to get The Ultimate Book of Cities. Our family would really enjoy playing Quicktionary. My kids would love Birds of the world. I would choose the Towering Tree Puzzle. Great selection! I think I would pick Mighty, Mighty Construction Site because our child is really into trucks these days! I think she would like the Ultimate Book of Cities. I think I would pick "642 Things About Me". I would pick the Crystal Menagerie Coloring Book so the whole family can colour. The Ultimate Book of Cities looks fabulous! I think my girls would like the Towering Tree Puzzle best, thanks for the chance to win! I would pick 642 Things About Me: Young Writer’s and Artist’s Edition for my son. I think it would make a really unique and interesting gift for him! I like the Towering Tree Puzzle book. It looks beautiful. I like the Towering Tree Puzzle. I would chose the Towering Tree puzzle. I would like to try the Towering Tree Puzzle. Mighty, Mighty Construction Site would be a great book for Nolan!